In my past post on the subject (Much ado about Thanksgiving turkey leftovers), I did an exposé on the Classic Open Face Turkey Sandwich. Now here is a recipe for a hearty Turkey, Corn & Roasted Pepper Soup, perfect on those chilly winter nights. Like a warm wool blanket on a chilly winter night. 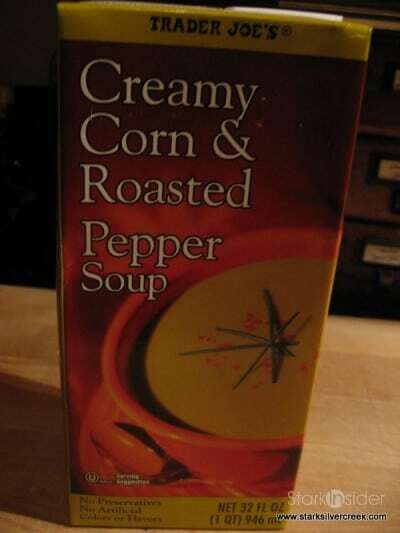 Pour the entire package of Trader Joe’s Creamy Corn & Pepper Soup into a heavy pot. Add frozen peas and any other “options” ingredients into the pot. 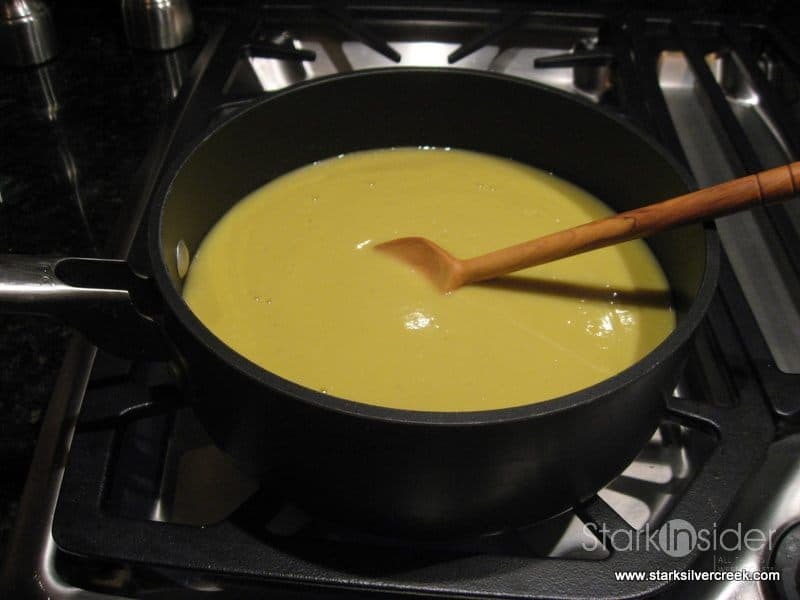 Bring to boil on medium heat and then turn it to low and let it simmer. 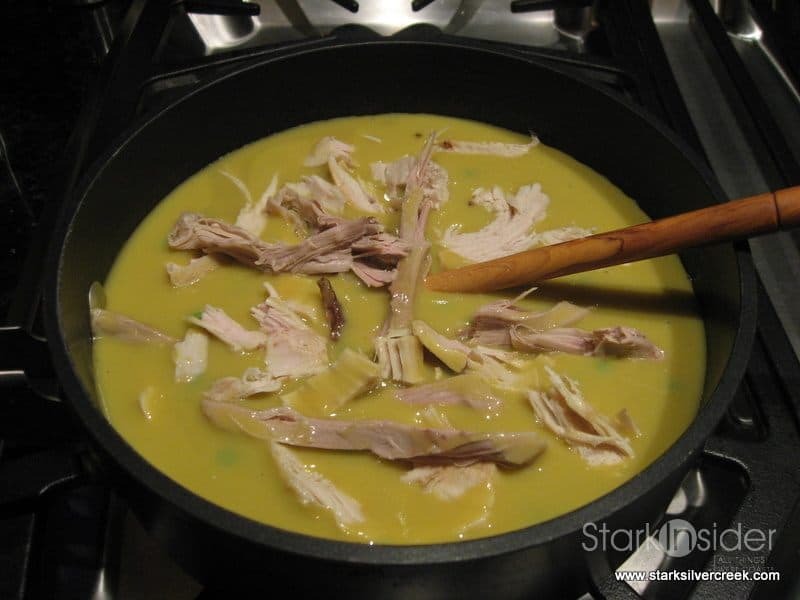 About 5 minutes before you’re ready to serve, add the chopped turkey, cover and continue to simmer. Serve in an oversize, heavy soup bowl. Crackers on the side is optional.